Gecko Press is an independent, international publisher of curiously good children s̕ books Gecko Press hand-picks books by some of the best writers and illustrators in the world—books of good heart and strong character, excellent in story, illustration and design. We choose stories children and parents will want to read hundreds of times, for ages 0 to 14 (sometimes infinity), from countries all around the world. 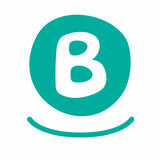 We are based in Wellington, New Zealand. Choosing books is an adventure, and we wish you the joy of picking the perfect book! What are you all doing with the pots, pans and spoons? We’re making music! See the white butterfly! It lands on a flower, and —pop!—the flower opens. With over 100 pages, this failproof boardbook is full of bright, bold illustrations and lots of noises to make. It’s perfect to share with a baby or toddler. Card game Each player imitates the noise of the object on their card, or mimes the action—groans and laughter are guaranteed! » Image © Bénédicte Guettier from I am the Wolf … and Here I Come! Simon’s little brother can’t sleep without his special blanket. Simon is going to have to be very brave to solve this problem. Once there was a little rabbit who could only say one thing... Likely to stop even non-bookish kids in their tracks. » Image © Satoru Onishi from Who’s Hiding? » Image © David Barrow from Have You Seen Elephant? Bert has been preparing for this for a long time. He is ready. But, he might need a bit of encouragement from his friends. ‘Time for breakfast?’ said Malcolm. ‘Toot!’ said the baby. Everyone has a request for breakfast. But who is taking notice of the baby? » Image © Peter Schössow from Where Is Grandma? ‘Can I take Mouse for a walk?’ I ask, and I’m always allowed. Fox and Rabbit live quite far away, in a bright little house beyond the molehills. » Image © Sarah Davis from That's Not a Hippopotamus! This explosively illustrated fable is a real find. A cheeky, layered story about an irrepressible pigeon whose one-eyed take on its world bewilders the other zoo animals. Perfect for graduates of early chapter books and a guaranteed hit as a read-aloud. Buffy takes on the most important task of all—the search for her mother. The Ice Sea Pirates Frida Nilsson Illustrated by David Barrow No one but Siri dares to face treacherous sailors, hungry wolves and the arctic winter to save her little sister from the dreaded Captain Whitehead and his ice sea pirates. The Bakehouse I spent all afternoon greedily gobbling it up, then ... I read it again to slowly savor every word. Impossible Inventions: Ideas that shouldn’t work Małgorzata Mycielska Illustrated by Aleksandra & Daniel Mizieliński A funky and fascinating collection of inventions. Start a child’s collection with a book subscription Gecko Press offers regular book parcels for curious readers. The Curiously Good Book Club is a place for people who love good books for children. It is free and open to everyone. Children, parents, librarians, teachers and book lovers can sign up at geckopress.com for: › Discussion and ideas about the wider world of children’s books and reading. We deliver books to your mailbox four times a year in a personalised envelope, with surprises such as bookmarks and gift cards. We hand-pick a selection of books in each age range for our packages. We choose books we are confident children will love and want to read again and again. These are books of guaranteed quality, in story, illustration and design, from the world’s best authors and illustrators. See geckopress.com for details. 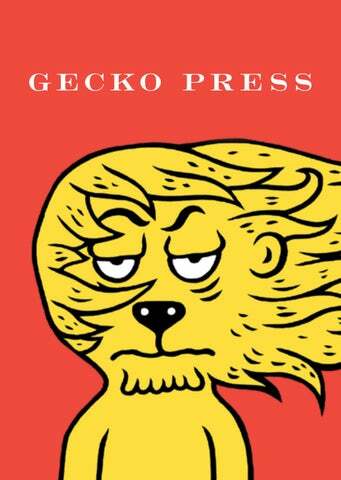 › Newsletters about new Gecko Press books and other books we love. › Events where you can meet authors, attend workshops, talk about books and be read to—at bookshops, libraries and maybe even the beach! › Competitions, activities, bookmarks, gift cards, and fun bits and pieces. › Exclusive offers on purchases from our website. Gecko Press worldwide Gecko Press books are sold throughout the world, and marketed directly into North America, the United Kingdom, Australia and New Zealand, in digital and print editions. In each market Gecko Press employs a specialist book publicist to promote our books through traditional and new media, conferences and festivals. Follow us on Facebook, Twitter and Instagram.